Create high quality fillet joints quickly at vulnerable points such as wall to floor junctions. A high quality, cement-based, fast-setting mortar designed to create fillet joints at weak points such as the wall and floor junction. 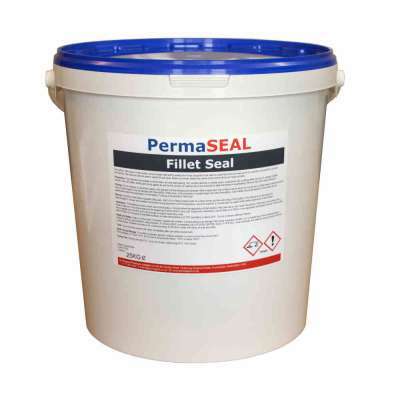 This fillet sealant should be used at vulnerable stress points such as wall to floor and wall to wall junctions when waterproofing with a tanking slurry. Fillet seals create a smooth transition between horizontal and vertical surfaces. 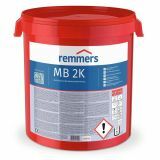 This reduces the risk of leaving an unsealed area during structural waterproofing.The product can also be used as a fillet seal repair mortar to rapidly fill and repair broken out areas, deep lying mortar joints and for levelling out rough surfaces. All surfaces need be clean and free of dust and residue before application. Dry surfaces should be fully wetted out. You want the background to be damp but not wet, with any surface water removed, before applying the fillet seal. 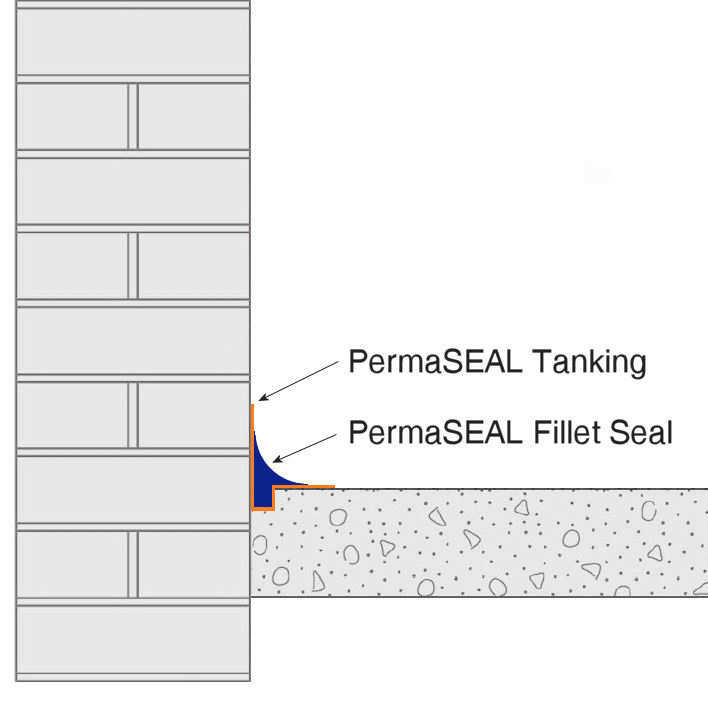 Note: If the substrate is contaminated with salts, you need to apply PermaSEAL Salt Inhibitor to the surface prior to the fillet sealant. To create the mortar, you need to add 3.5 to 4 litres of clean water to a clean mortar tub before adding 25kgs of the fillet seal powder. Mix thoroughly for around three minutes with mechanical mixing equipment until homogeneous. You should then leave it to stand for two minute before briefly mixing again before applying it to the surface. Apply to surface with a trowel or fillet tool. Full surface layers can be applied up to 20mm thick. Cracks and indentations can be filled up to 50mm in one application and feather finished. Further coats can be applied once the first coat is dry enough to support further coats. You can create a fillet joint in two ways depending on the risk. Risk increases with the level of hydrostatic pressure being exerted on the joint. Apply a coat of PermaSEAL Tanking Slurry to the area 100mm up the wall and 100mm across the floor covering the joint. Whilst still tacky, you should apply the Fillet Seal to the area, rounding off the fillet to create a smooth curve across the junction. Allow the sealant to dry for at least 1 hour before over coating. Cut a chase into the floor at the wall floor joint 20mm x 20mm deep, cutting into the wall where possible. Add the tanking slurry to the area 100mm up the wall across the chase and 100mm onto the floor. Whilst still tacky, you should apply the Fillet Seal to the area, rounding off the fillet to create a smooth curve across the junction. Allow the sealant to dry for at least 1 hour before over coating. PermaSEAL Fillet Seal is a cement-based mortar so will dry with the same characteristics as concrete. It is essential that the coating does not dry too fast as cracking could occur. Coverage - 1.7kg as a filler per litre void or per mm thick layer/m2 and approx. 2-3kg linear metre as a fillet seal. 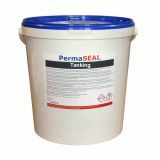 Read our Tanking a Cellar Guide or find out how to Waterproof a Garage with the help of PermaSEAL Fillet Seal.